The Director of the Public Authority for Civil Information Musa’ed Al-Assousi has stressed on the need to ensure the veracity of information when filling the form of renewing the residencies. The official pointed out that “in the case of an error in the printed receipt received by the resident at the time of renewal, he/she before leaving the counter should immediately draw the attention of the concerned employee. 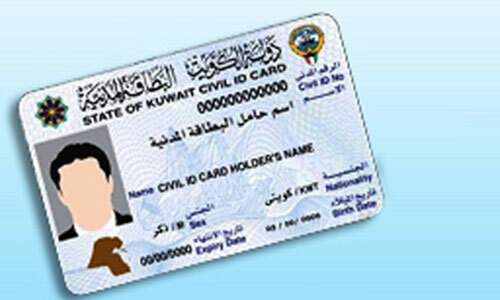 “The resident (applicant) has 3 opportunities to verify his/her information before receiving his/her civil ID card. First, when he/she starts with printing the renewal of the residence application, then when he/she receives the receipt from the residence officer, and finally before giving nod for the data that appears on the screen and check if it is correct before completing the transaction. He explained that “in the event of issuance of the card and payment of fees, and the data contains false information, the cardholder will be obliged to pay fees again. I downloaded moi app for inquiries and created user id and password but whenever i am login many time but after 2-3 seconds it logout automatically.